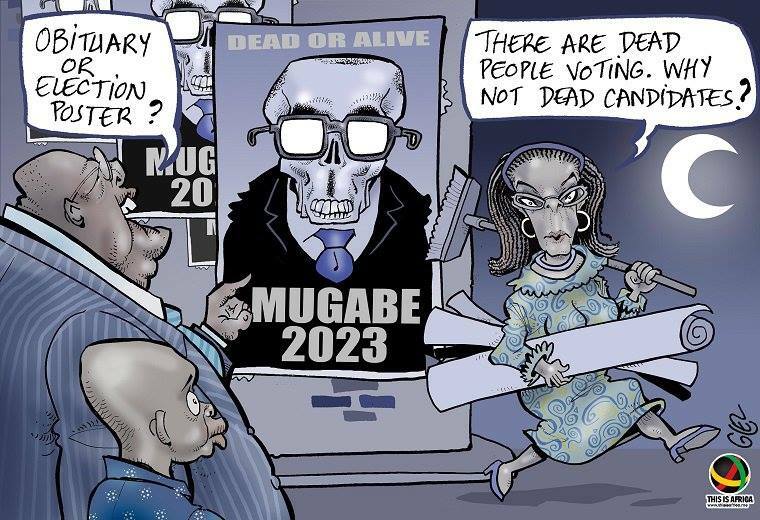 What Hope for Zimbabwe Now? Most who have been known to be thieves started off by stesling small amounts of money and maybe pick pocketing at a local market. The evil of the the ruling party ZANU PF started at a very high note with a lot of experience within the party members themselves. The first known evil being the brutal act of the Gukurahundi which left many families broken, parent-less, speechless and terrified. It was an eye opener, the people of Zimbabwe were clearly shown the end from the beginning. 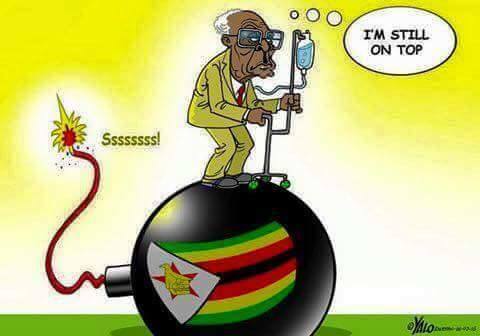 Ever since the cruel death penalty for the innocent Zimbabwean, death has never been a big deal for the ruling party. People have mysteriously disappeared for criticising the government, for speaking out, for exercising their rights as the children of Zimbabwe and for not attending the forced and illegal ZANU PF rallies. Even the failed asylum seekers who were returned to Zimbabwe some did not reach their destinations and to this date no one has been accountable. Those in the Opposition Parties have been through a furnace of hell, beaten up and some dying in the process. 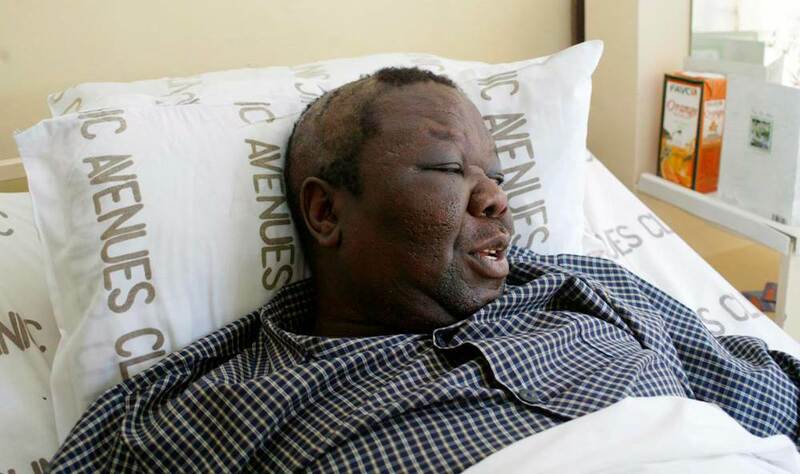 Several times the images of the late 'father of democracy' Morgan Tsvangirai have been published in the local Zimbabwean papers when he was being physically abused beaten up and tortured simply for preaching peace, unity and democracy. Many followers of democracy have in one way or the other been physically and emotionally shaken. The human rights activists like Itai Dzamara, to this date Zimbabweans live with the hope that one day he will be brought back in whatever state be it dead or alive. Zimbabwe is now under the Millitary rule. Zimbabweans will forever live in fear. For 37 years, the people of Zimbabwe have been so oppressed and hardily pressed from all ends, when shall those tears of our mothers, fathers, brothers and sisters dry out? Former President, Robert Mugabe has mocked soldiers describing them as uneducated people who are jealous of intelligence operatives who were paid more than them. He told guests at his private party yesterday the military had sided with Emmerson Mnangagwa in a purely Zanu PF issue. “They said to me people have marched, they want you to go. They said they have filled the stadium demanding that I should go. I said, which people, MDC people. What about those in Kadoma, what about those in Mutare, did you go and ask them. People were beaten, the soldiers were beating up our intelligence guys saying you are paid higher than us. You wear good suits, hence you are protecting Mugabe. Ahh they didn't know that you do not to be educated to be a soldier, nornally soldiers are recruited from Grade 7 or Form Two while the intelligence team is recruited from those who are educated. It should follow that when one is educated with a degree or A Level you should be paid higher than those who are just recruited as long as they are trained," he was quoted by The Standard as saying. 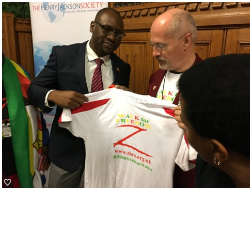 London - 22 February 2018 - The founder of #ThisFlag Movement Pastor Evan Mawarire presented a passionate speech about his experiences, economic drive, and constitutional challenges at Westminster Parliament today. The event which was organised by the Henry Jackson Society was attended by members of Zimbabwe Human Rights Organisation (ZHRO), Zimbabwe Diaspora Community, and Lord Chidgey who was in the chair until the arrival of MP for Vauxhall, Kate Hoey. In his speech Pastor Mawarire described the situation in Zimbabwe as dire saying that a 30 minute speech by President Mnangagwa cannot change the effects of 37 years. He said that those who were instrumental in intimidating the opposition - denied citizens their choices in 2008 and 2013 are still in government. He paid tribute to the late Morgan Tsvangirai for putting up a great fight for freedom and justice under the most difficult conditions. He criticised the regime for failing to publicly apologise for the Gukurahundi atrocities saying that it is the responsibility of the government to provide closure for the victims. He gave his own personal experience at the hands of the regime and warned that it can happen to anyone. "We need to move away from a situation where Zimbabwe is owned by a few - $15 billion goes missing and no one can account for it - we were incarcerated for demanding our rights - gone are the days when people remained silent - young people have gripped the idea of freeing themselves - our freedom is more important to us than ever before" he said. When asked by the BBC reporter about Free and Fair Election - he was not at all confident that these would happen and cited 2000 and 2008 as examples of Military interference (2008 was a real Coup). "When MDC won the elections in 2008, the missing factor was the ordinary citizens - we the people were the missing component - but since #ThisFlag Movement, people have made it their aim to sacrifice for freedom - Mugabe had said that there are special jails for people like us saying ‘leave our politics alone' - and people like Paul Chizuze and Itai Dzamara are still missing" he said. "I felt bad for leaving the people when I went into exile and that is why I returned" he said. Mawarire hopes for freedoms for the people - but cannot see the current incumbent Government members as varying that out. He pointed out that many who have been made ministers in the current Government -Junta - were directly responsible for 2008 Coup and the 1983 massacres. He questions the 'Open for Business' mantra by Zanu PF when they clearly do not care about the general population. "As long as the laws have not been aligned, the economic growth being touted is baseless with no freedom" he said. Mawarire also called on the British Government not to let the Zimbabwean people down by selfishly pursuing its economic interests but must push the Mnangagwa administration to provide a level field for sustainable elections and economic growth. He called on the British government not to ignore human rights abuses in Zimbabwe for its own economic gains. In his address on the Diaspora vote, Mawarire emphasised that although it is one of the most important issues that the current government needs to address, he doubted that the diaspora vote was going to be granted in time for the 2018 elections. The meeting was also attended by Dr Tshibangu Mukumbay from the Democratic Republic of Congo (DRC) who was interested in looking for looted assets from his country by Zanu PF.